Iron deficiency anemia is the most common type of anemia. Severe anemia can cause low oxygen levels in vital organs such as the heart, and can lead to heart failure. Call your provider if you have any symptoms of anemia or unusual bleeding. 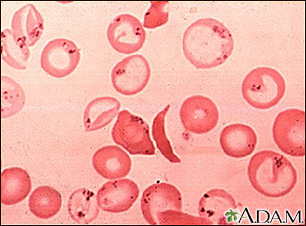 Spherocytosis is a hereditary disorder of the red blood cells (RBCs), which may be associated with a mild anemia. 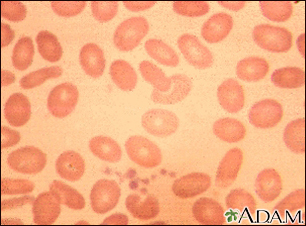 Typically, the affected RBCs are small, spherically shaped, and lack the light centers seen in normal, round RBCs. Red blood cells (RBCs) are normally round. 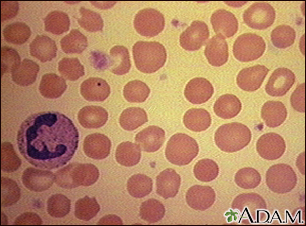 In ovalocytosis, the cells are oval. 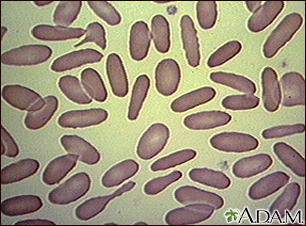 Other conditions that produce abnormally shaped RBCs include spherocytosis and eliptocytosis. 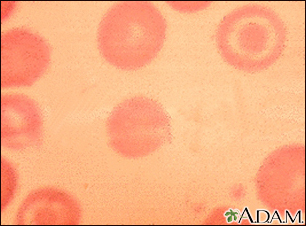 These abnormal red blood cells (RBCs) resemble targets. 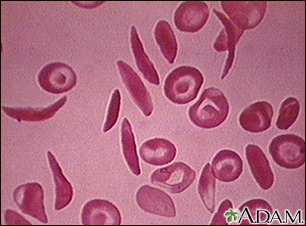 These cells are seen in association with some forms of anemia, and following the removal of the spleen (splenectomy). Hemoglobin is the most important component of red blood cells. It is composed of a protein called heme, which binds oxygen. 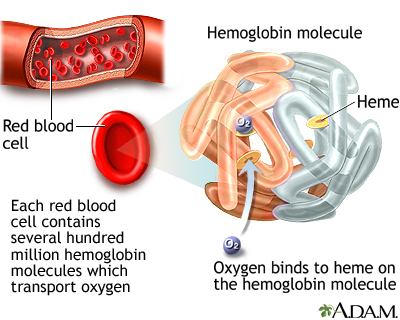 In the lungs, oxygen is exchanged for carbon dioxide.Abnormalities of an individual's hemoglobin value can indicate defects in the normal balance between red blood cell production and destruction. Both low and high values can indicate disease states.